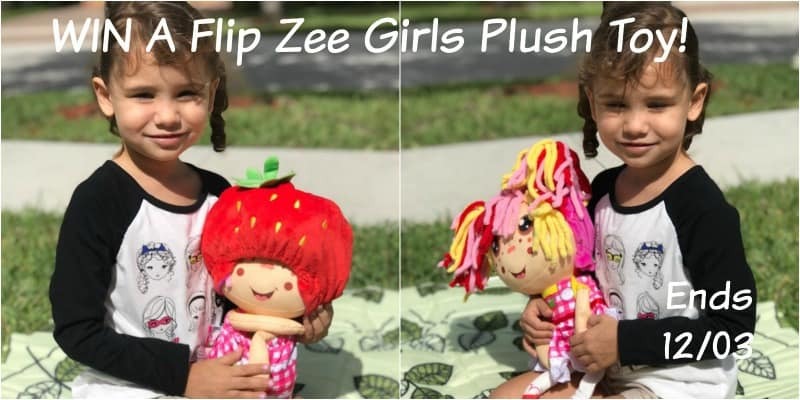 Little ones love plush toys and these adorable Flip Zee dolls are simply adorable. I am so excited to team up with one of my favorite bloggers to bring you this extraordinary giveaway just in time for the holidays. Check out these amazing toys below and enter to win today. Versatile and so colorful, any girl would love to play with these Flip Zee Girls! They come in six styles to satisfy your little girl’s preferences. They are ready to be your tea companions or play and pretend to be cuddly babies. In a few easy flips, a baby girl becomes a big girl and vice versa! Exciting way to grow up and spike your child’s imagination. Would you like to win one for your girl in your life? Enter to win in the form below. I love toys where the kids can use there imagination these dolls are so cute hours of fun to play with. my daughter loves to play with dolls. this flipzee girl would give her imagination an outlet. My little niece is very creative with her toys, making up dialogs with her dolls and so on. My niece would love to have this to sleep with her in her bed at night. Super cute. I’d love to gift it to her. I really don’t understand what you mean when you say support?? They would be good play Pals. A lot of little girls carry their dolls with them when they go places.